Diphtheria/Tetanus: one dose of DT, TD or DTP administered within 10 years of enrollment. Measles (Rubeola): two doses of measles vaccine administered after student’s first birthday. Some measles vaccine given prior to 1968 have not been approved. If unable to identify strain, reimmunization is necessary. Rubella (German Measles): two doses of rubella vaccine administered after student’s first birthday. Mumps: two doses of mumps vaccine administered after student’s first birthday. To demonstrate adequate immunization against each disease, you must present a certificate of immunization from the physician, nurse, public health official, or school provider who administered the immunization. The proof must specify the patient name, date of birth, immunizing agent and the date it was administered. School health records are usually acceptable to meet this requirement. To demonstrate immunity against measles, mumps and/or rubella, you must present laboratory results of your titer tests. A letter from your doctor is not acceptable. Students may be exempted from the immunization requirement for opposition to immunization based on religious, moral philosophical and/or personal beliefs. Please submit a completed immunization waiver form (PDF document) to the Registrar’s Office to document your opposition. Any student exempted from compliance for the above reasons may be excluded from school during one or more incubation periods if a case(s) of disease is/are present. Get the immunization form here. Often students have questions on how to locate their immunization records; some suggestions are listed below. If you can’t find any proof of immunization, then you must be immunized again and submit the information to us. If you graduated from high school within the last six years, the school may have a “Permanent School Health Record” which lists immunizations you may have received. You must specifically request that your immunization records be sent. They are not automatically sent by high schools when you request your transcript. Your family physician may have records of your immunizations. If you are or were in the military, contact your nearest VA hospital and request a copy of your immunization records. This also applies to children whose parents were in the military and living on base. If you have had any surgery or accidents within ten years of enrollment, check to see if you were given a tetanus-diphtheria booster. Contact the college’s Health Services Office to request a copy of your immunization records. You must specifically request that your immunization records be sent. They are not automatically sent by colleges when you request your transcript. Check with the obstetrician who attended you during pregnancy. She/he usually will request a titer test for measles and/or German measles that will show whether or not you are immune. If you weren’t immune, she/he might have administered a vaccine after it was safe to do so. You can get a “Titer test” done for Measles (Rubeola), Mumps, and Rubella (German Measles) only. If immune, a copy of the laboratory results must be sent in; a note from a doctor is not acceptable. There is no titer test for tetanus-diphtheria. You can get the vaccines over again. You will need the MMR (measles, mumps, rubella) and/or the TD (tetanus-diphtheria) booster. If you have any concerns about being reimmunized, please consult your physician. Some physicians carry state-subsidized vaccine which may be less expensive. Ask your physician if they carry this vaccine. If so, let your physician know that you were not able to locate your records. If you cannot receive immunizations because of medical reasons such as pregnancy or allergic reactions, you must submit a letter from your physician on her/his business letterhead stating why you cannot be vaccinated and the period of exemption. In the case of pregnancy, only a temporary period of exemption will be allowed. When the exemption period ends, you must provide the University with proof of immunization. We will NOT accept any forms that do not clearly show your name, date of birth and legible documentation of the required immunizations that has a date consisting of the month and year given. Pages from a “baby book” or notes from parents are not acceptable proof of immunization. In order for us to track your records, please be sure to include your social security number and any former names you’ve used. This is an Official Publication of the University of Maine at Augusta, a part of the University of Maine System. 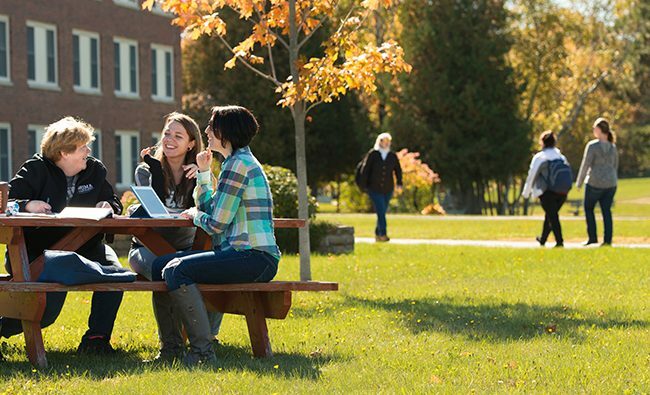 UMA adheres to the University of Maine System Policy on Non-discrimination. Check the following website for directions: http://workplacehealth.mainegeneral.org/maps_directions/default.asp. Cash or credit card only. Appointments preferred. Cash or check only. By appointment only. Cash, check, debit or charge card accepted. By appointment only. Please check with your center’s staff for local resources. Students are encouraged to check out resources in their communities associated with their local hospitals or other health care providers.